Master Stone Masons, J.H. Wagner & Sons Pty. Ltd. is a privately owned and operated Stonemasonry company incorporating all aspects of stone, building and monumental masonry. J.H. Wagner & Sons was established in 1896 by John Henry Wagner. 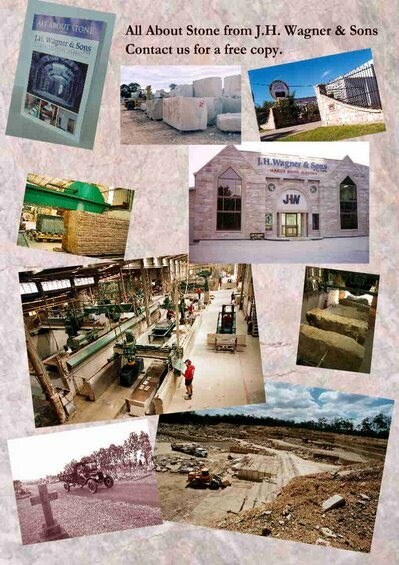 Primarily a specialist provider of Helidon Sandstone, Granite and Marble products and services, the company is owned and operated by the Wagner Family. The business proudly boasts fourth generation family members employed within the company and still hold strong the values of personalised service. Monumental works have remained a core focus of our company and with diversification into commercial project supply we have been able to further enhance the range of products and services being offered.